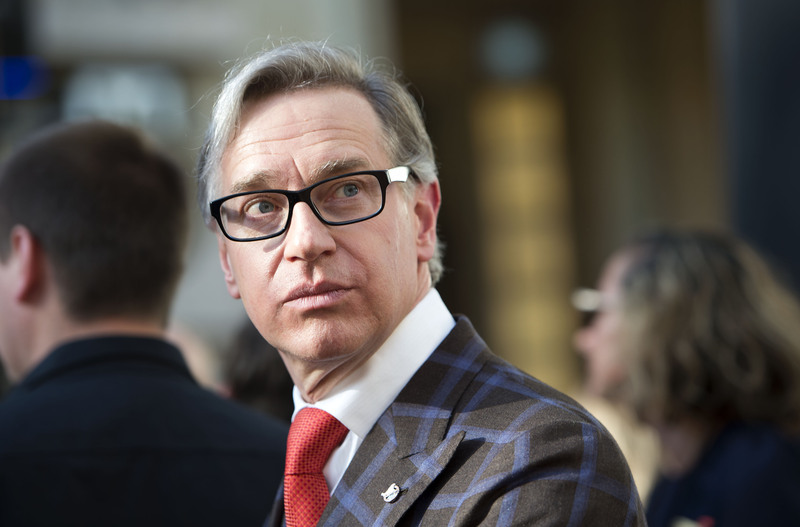 It's been a long couple of years for Paul Feig. When the "Bridesmaids" and "Spy" director announced that he would be directing an all-female version of "Ghostbusters," a certain segment of the internet went ballistic -- and hasn't calmed down since. But now that the film in question is finally hitting theaters, Feig tells CBS News that he's happy to put the haters behind him and keep things in perspective. How does it feel to actually have people seeing this film and get actual reactions instead of what we've had for the past two years? The speculation and "controversy" is just ... nobody knows anything until they watch the movie we made. So I'm just so thrilled it's going to open. It's open in the U.K. now, and I'm getting just inundated by tweets from people who are seeing the movie and loving it. A good number of people who consider themselves haters were saying they actually see what I was doing and really loved it. Is it a sense of vindication in a way? It's more just a sense of relief. I don't make movies to make trailers. I don't make movies to make internet clips. I don't make movies to make gossip rags. I just really, you know, make a movie for people to sit in them. You're in a dark room for just under two hours and having a great time and that's all any of us ever wanted to do from day one -- make a fun movie that people can enjoy and take their families to and have fun. Some fans have complained that it's a reboot instead of a "passing the torch" story. Is it harder working in this age of fans having such strong and vocal opinions about how stories should actually play out? Look, people get very invested in stuff and get very passionate about it. I completely get that, but at the same time, we're the ones who've been tasked with doing it. If they want to go through what we went through to get in the business where they can do it, then that's great, they should do it and bring their take, because that's awesome. We always want new takes on things. We just happen to be the ones that get to do it, and we can only do what we think is best. How much of the characters were tailored to the actresses once they were cast? Well, they all are. I do that with every single movie I do. I always meet with each cast member a few months beforehand, they'll read through the script and they'll improvise and I start to see what the essence of that character is and we rewrite to that character. For me, on this one, I just wanted to portray the Melissa I really know, who is sweet and kind and wonderful but is headstrong when she believes in something. What I love about her part in "Ghostbusters" is it's the closest to who Melissa actually is that we've ever gotten to see on screen. Kate McKinnon is a particular standout in this cast. I love Kate so much. She is such a great, lovable weirdo in real life. I was just kind of like, "I just want you to play that." So honestly for the first half of the shoot she would come up to me and go, "I'm not exactly sure what I'm playing" and I'd go, "I know, because you're playing yourself and you're awesome, so just keep doing that." You know, that kind of Kate that you're seeing in that movie, those are the only kind of performances I care about -- the ones that are very 3-D and honest and close to the bone. You could've reacted much more strongly over the last two years. How do you keep your perspective? I really try to see it from their point of view. I mean look, the really horrendous misogynists, that for me is like, "All right dude, you gotta go to therapy or something, figure that out." But for everyone else who gets so wrapped up in this, with all the huge things going on in the world that are scary and terrifying and terrible, I just think that's the reason entertainment exists because you escape into it. You look at some of the problems in the world and bang your head against the wall, so then you focus on the thing you actually feel like I can control, because I can go on the internet and write to the people who make these things and yell at them, at least I can have some sort of effect because they listen to me and they'll do what I say, and that's not gonna happen with the world as it breaks and surprises us. What pieces of people's childhoods are you planning to ruin next? Only things that I make up from now on, I'll tell you that much. Things that I invented, I'll be like George Lucas and I'll do some ... no, everything's great. I'm sure you've noticed, but a conspiracy theory has taken root online that Sony is paying for good reviews. Oh yeah, that's my new favorite. That and the whole thing about the only reason we got Bill Murray to do this is because there was litigation against him -- if you think any lawsuit in the world's gonna make Bill Murray show up and do a part and promote it, guess again. People desperately grasp around to try to make sense of things that they don't want to happen if that thing is happening, and people have dedicated two years of their lives to being angry we exist. And it's now almost at an end, I'm kinda like, I'm gonna go announce a reboot of "Back to the Future" so these people have something to do for the next two years. We can get that out there. It's not gonna be me, I'll tell you that much. "Ghostbusters" hits U.S. theaters Friday, July 15.